Artists of Mexico is the only exhibition to give historical context to the Getty's region-wide endeavor, Pacific Standard Time: LA/LA, by featuring artists whose works and careers had particular resonance in Los Angeles. Their personal histories in L.A., their many exhibitions in Southern California, and in many instances through their widely known public works throughout the region reveal a profoundly important history. Artists of Mexico is presented in anticipation of Pacific Standard Time: LA/LA, a far reaching and ambitious exploration of Latin America and Latino art in dialogue with Los Angeles. 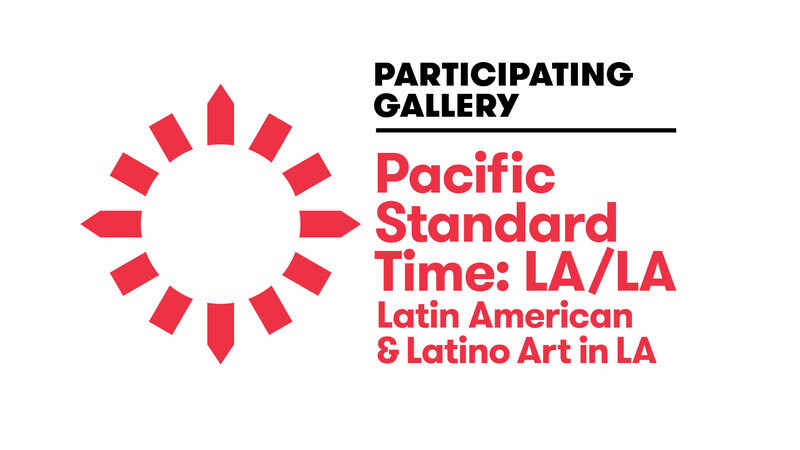 Supported by grants from the Getty Foundation, Pacific Standard Time: LA/LA takes place from September 2017 through January 2018 at more than 70 cultural institutions across Southern California, from Los Angeles to Palm Springs, and from San Diego to Santa Barbara. Pacific Standard Time is an initiative of the Getty. For additional information regarding PST LA/LA, please visit pacificstandardtime.org. Following the Artists of Mexico exhibition, Jack Rutberg Fine Arts will present a series of focused, solo exhibitions in concert with Pacific Standard Time: LA/LA. On September 23, 2017 the gallery will present Hans Burkhardt in Mexico, showing paintings and drawings from the 1950s to the early 1960s. In October, concurrent with the Burkhardt exhibition, the gallery will present a collaboration between the legendary Hollywood filmmaker George Romero of "Night of the Living Dead" fame and artist George Nama. In January 2018, the gallery will present two concurrent exhibitions, Rico Lebrun in Mexico and Francisco Zúñiga – Indigenous Beauty. Jean Charlot (1898-1979) is a major figure in the history of the murals in Mexico, whose relationship to Los Angeles began in 1930 where he created numerous works at the studio of Lynton Kistler, L.A.'s pioneering printer of the time. Charlot taught in Los Angeles at Chouinard School of Art in 1947. Born in 1898 in Paris, where he attended the École des Beaux Arts before World War I, in which Charlot served, he tried to make a living as a church mural painter, referring to himself as "a liturgical artist." Though this kind of art was not commercially popular at the time, some of his smaller works were included in an exhibition at the prestigious Salon d'Automne. In these works Charlot drew upon his Russian, French, and Mexican cultural ancestry, synthesizing various aesthetic traditions in his paintings and drawings. In 1920 Charlot and his mother moved to Mexico. There, Charlot transformed his style, drawing upon Mexican prototypes in the art of the Mayan and Inca Indians. He allied himself with the Mexican Mural Movement and apprenticed under Diego Rivera. Through the 1930s and 1940s Charlot worked at a variety of institutions on different projects. He painted murals for the Ministry of Education in Mexico City and for the National Preparatory School there. He also painted murals representing the archeological site of Chichén Itzá in Mexico for the Carnegie Institution. In the 1930s and 1940s Charlot taught art at numerous universities around the country. In 1949, he settled in Honolulu, Hawaii, where he was a professor of art at the University of Hawaii until his death in 1979. Rafael Coronel (b. 1932) became widely known through his frequent exhibitions at the B. Lewin Gallery in Beverly Hills in Los Angeles. The B. Lewin collection now resides at the Los Angeles County Museum of Art. The younger brother of artist Pedro Coronel, Rafael was the son-in-law of Diego Rivera. Coronel's famous images of church cardinals were preceded by powerfully expressionist works more akin to work by Francis Bacon, and this exhibition includes a rare painting from this period of the 1960s. José Luis Cuevas (b. 1933) During the 1950s, Cuevas was a leading artist of the "Generacion de la Ruptura" (Breakaway Generation) wishing to break from the Mexican muralist tradition. He received many awards, including the First International Prize for Drawing at the 1959 Biennial of Sao Paulo. His opposition to the status quo and his aggressive art style caused extreme reactions in Mexico including violent public outcries to his work, personal threats and even a machine-gun attack to his home. This has earned him the nickname of "l'enfant terrible" of Mexican fine arts. While his rejection of Mexican traditional art and muralism was a lightning rod of controversy in Mexico, his audience in Los Angeles was particularly notable, as it was in Europe. Cuevas' works were championed in L.A. by the Sylvan Simone Gallery on Olympic Boulevard in West L.A. from the late 1950s until its closing in the early 1980s. While not frequently cited, the Sylvan Simone Gallery was an important gallery that showed a wide range of L.A. and international artists. In the 1960s Cuevas created a number of original lithographs at June Wayne's Tamarind Press. In 1989, Cuevas served as the Artist-in-Residence at Pasadena City College, which many might be surprised to learn had perhaps the largest art department and most robust program of international visiting artists in Los Angeles. In 1992, the José Luis Cuevas Museum was inaugurated in Mexico City. Bernice Kolko (1905-1970) was born in Poland in 1905 and emigrated to the U.S. in 1920. In Los Angeles she worked at Lockheed for the war effort before enlisting in the Women's Army Corps as a photographer. In 1946-7 Kolko resided in Riverside, California. She took courses in commercial photography at the Art Center School in Los Angeles while also pursuing experimental photographic work and met Man Ray. In 1951 she studied at the Los Angeles City College before going to Mexico on holidays where she started her formidable series, Women of Mexico. In 1953 Kolko established a close friendship with Diego Rivera and Frida Kahlo, and Rivera wrote a brief essay introducing her photographic work. In 1955 Bellas Artes National Institute exhibited Women of Mexico, her first solo exhibition in Mexico; probably the first woman photographer to exhibit at Bellas Artes. Her series Rostros de México (Faces of Mexico) was shown in 1961 at Guanajuato University, Mexico, before travelling to Israel where 122 photographs from this important series were exhibited in Jerusalem. A few years later the University of Mexico published her book Faces of Mexico and her photographs were exhibited throughout South America. In 1970 the Museum of Man in San Diego presented Faces of Mexico. Bernice Kolko died in Mexico City in December. Her intimate photographs of her friend Frida Kahlo had never been exhibited until 2005 at Jack Rutberg Fine Arts. Included is Kolko's famous death portrait of Frida created at the request of Frida's husband, Diego Rivera. Following their exhibition in L.A. these poignant images of Frida Kahlo serve as a fitting tribute to Bernice Kolko, whose centennial was celebrated in a solo exhibition devoted to her photographs at the Museo Frida Kahlo, in Mexico City. Gustavo Montoya (1905-2003) traveled to Los Angeles in 1928 to work for the West Coast Theaters Company, creating movie posters. He had his first exhibition that year in Los Angeles at the Durand Gallery. He returned to Mexico in 1932 working at the Escuela Nacional de Artes Plásticas before travelling to Europe in 1938 and then New York where he had numerous exhibitions before returning again to Mexico in 1942. There, he joined his contemporaries in the Mexican movement emphasizing neo-realism and muralistic techniques. He continued to be widely exhibited in the U.S. and particularly in Los Angeles following his 1966 exhibition at the Collectors Gallery in Beverly Hills, and ultimately at B. Lewin Gallery in Beverly Hills and Palm Springs. In a posthumous anthology on Montoya issued by the Museo Mural Diego Rivera in 1997, he was referred to as a "Great Silent One". Alfredo Ramos Martinez (1871-1946) first studied under the nineteenth century master Santiago Rebull at the Escuela Nacional de Bellas Artes. In 1900 he received a scholarship to study in Europe, where his painting "Le Printemps" won a prize at the Salon d'Automne in Paris. Returning to Mexico in 1910, Ramos-Martinez fathered the great mural renaissance which made the names Orozco, Rivera and Siqueiros world-famous. The "Open Air (Aire Libre) School" which Ramos Martinez introduced, inspired artists to direct their interests in their own environment and indigenous culture, unlike the teachings of other art academic centers in Mexico. Due to his daughter's serious medical condition, he moved with his family to Los Angeles in 1929-30. Ramos Martinez exhibited frequently in California having his first museum exhibition at the Los Angeles County Museum in 1931, soon followed by museum exhibitions in San Francisco, Santa Barbara and San Diego. He painted a number of significant murals throughout Southern California, including his monu¬mental l00-foot mural at Scripps College. In 1944 he was commissioned to return to Mexico City to paint the Escuela Normal mural. His early departure from Mexico caused considerable neglect of his enormous contribution, but since recent years Ramos Martinez ranks among the most sought-after artists of Mexico. His works are included in virtually every text dealing with Latin American art of the 20th century, as well as for his contribution to the mural painters of California. In 1992, his work was the subject of a major retrospective at the Museo Nacional de Arte Munal. In 2014 the Pasadena Museum organized a touring retrospective exhibition. Diego Rivera (1886-1957) studied at the San Carlos Academy under Santiago Rebull and José Maria Velasco. In 1908 he traveled to Europe on a stipend from the Veracruz government. While traveling in Europe, Rivera kept abreast of all the latest developments in art. His intellectual and artistic genius allowed him to produce first-rate Symbolist Paintings while he was in Spain (1908-1911) and while in France (1911-1921) Cubist as well as Cézannesque and Ingresque paintings during his last years there. In 1921 Rivera returned to Mexico and began searching for his interpretation of a "pure" Mexican art form. He abandoned the classical teachings he received and created his "popular style". Images of peasants carrying out their daily tasks were recorded; corn grinders, burden bearers, flower carriers, dancers, laborers and revolutionaries were favorite themes painted in a style that reflected great pride in the indigenous peoples' pre-Columbian past. Rivera was the greatest exponent of the Mexican Muralist movement along with Orozco and Siqueiros and painted his first mural at the Anfiteatro Simón Bolívar at the National Preparatory School in Mexico City. He painted numer¬ous murals in Mexico City and the United States, including those in the Palacio Nacional, Ministerio de Educación Pública, the San Francisco Stock Exchange, Detroit's Institute of Fine Arts and the Rockefeller Center (a mural which was destroyed due to Rivera's controversial inclusion of a portrait of Lenin). While Rivera never created murals in Los Angeles, his impact here was formidable, as he was widely admired and collected by the Hollywood's elite. His leftist politics resonated with the film industry in those years of censorship surrounding the McCarthy era and Rivera's paintings were seen in films of the period. His painting Flower Carrier was prominently on view in scenes of five different films, all produced by different studios. David Alfaro Siqueiros (1896-1974) Born in Chihuahua, Mexico, Siqueiros attended the Open Air Art School in Santa Anita, Mexico. In 1914 he enlisted in the army, fighting in the Mexican Revolution. He went to Europe in 1917 and met Diego Rivera in Paris. In 1922 he returned to Mexico and painted his first mural the following year for the National Preparatory School. Upon his expulsion from Mexico in 1932 for radical political militancy, Siqueiros came to Los Angeles for six months. In that brief time he had two exhibitions; one at the Jake Zeitlin Bookstore Gallery and Stendahl Galleries at the Ambassador Hotel, and completed three murals. The first, "Street Meeting," was painted at the Chouinard School of Art, where he taught a class on fresco painting. He painted the last mural, "Portrait of Present Day Mexico", at a home in Pacific Palisades where it remained until 2001, when it was donated to the Santa Barbara Museum of Art. Siqueiros' most important mural in Los Angeles was his second - "Tropical America." The powerful political statement was executed on the exterior of the second floor of Olvera Street's Italian Hall, where the Plaza Art Center was located. The central visual and symbolic focus of the mural is an Indian peon, representing oppression by U.S. imperialism, crucified on a double cross capped by an American eagle. A Mayan pyramid in the background is overrun by vegetation, while an armed Peruvian peasant and a Mexican farmer sit on a wall in the upper right corner, ready to defend themselves. Siqueiros' allegorical depiction of the struggle against imperialism wasn't a comfortable topic for the Downtown L.A. business and political establishment. Some viewed the mural as Communist propaganda, and within six months a section of the mural visible from Olvera Street was painted out. Within a year, the work was completely covered. Virtually forgotten for years, the mural was rediscovered in the late 1960s when the whitewash began to peel revealing Siqueiros' still powerful statement. Severely damaged from the exposure, it required extensive conservation lasting many years. The work and its story were influential among Chicano muralists in the 1960s and '70s. The mural reopened to the public in October 2012, eighty years after it was first unveiled. From 1935 to 1936 Siqueiros directed a workshop in New York where he introduced techniques to his apprentices; among them was Jackson Pollock. His influence on American Abstract Expressionism is apparent in the works shown here and one can easily see how his influence might have been absorbed by artists ranging from Jackson Pollock to Franz Kline, Robert Motherwell, etc. Rufino Tamayo (1899–1991) was born in Oaxaca, Mexico. In 1917 he began studying art at Escuela Nacional de Artes Plasticas in San Carlos. In 1926, he moved to New York. Prior to leaving, he organized a one-man show of his work in Mexico City, which attracted moderate critical attention. Tamayo later returned to Mexico in 1929 to have another solo show, this time being met with high praise and media coverage. Tamayo reacted against the political overtones of the Mexican muralists Diego Rivera, David Alfaro Siqueiros, and José Clemente Orozco; instead, he was concerned with form and symbolism, and combining Mexican folk motifs with Cubism and Surrealism. He had developed a strong interest in pre-Columbian art while working at the National Museum of Archaeology in Mexico City, and had particular admiration for the works of Pablo Picasso, Georges Braque, and Henri Matisse. From the early 1950s he became a great admirer of the Los Angeles painter Hans Burkhardt, whom he encountered through Burkhardt's exhibitions in Mexico and their meetings in Los Angeles. Their final meeting was on November 19, 1987 at a luncheon honoring Tamayo presented by California State University, Northridge. Tamayo's history in Los Angeles includes his receiving a 1964 fellowship at the pioneering Tamarind Lithography Workshop founded in 1960 by June Wayne, where Tamayo created sixteen original lithographs. Between the years of 1925 and 1991, Tamayo produced a formidable body of original graphic works - etchings, lithographs, woodcuts, and Mixografia prints. In 1975, the Los Angeles County Museum of Art's Graphic Arts Council selected Tamayo to create an original lithograph. In 1981, he established the Tamayo Contemporary Art Museum in Mexico City. Francisco Zúñiga (1912-1998) is widely regarded as the most important 20th century sculptor of Mexico. Born in Costa Rica in 1912, that nation also claims him as its most important artist. By the age of 13, Zúñiga was working in his father's studio carving religious figures for local churches. Already inspired by the art of the Renaissance, in 1933 he saw a large exhibition of German Expressionism that had a formative influence on him. Winning several national prizes between 1929 and 1935, he moved to Mexico in 1936, where his impact as a sculptor and painter was very quickly made evident. In 1938 he joined the faculty of "La Esmeralda," the prestigious Mexican School of Painting and Sculpture of the National Institute of Fine Arts, where he taught until 1970. Zúñiga's first exposure in the U.S. was in Thirteen Mexican Artists at the Chicago Art Club in 1941. In 1942, Alfred Barr, Director of the Museum of Modern Art in New York, purchased a stone sculpture for the museum's permanent collection. In 1943, the Metropolitan Museum in New York acquired two drawings. That year, Zúñiga was included in exhibitions at the Museum of Modern Art in New York as well as exhibitions at the Palace of Fine Arts in Mexico City. He also participated in Recent Mexican Art, which opened in 1943 at the Philadelphia Museum of Art and then traveled to Ottawa, Toronto, Montreal, Baltimore and New Orleans. Zúñiga's importance was early realized in Los Angeles and throughout California, where his reputation and legions of collectors - both private and with museums - has been particularly formidable for decades. Monumental sculptures by Zúñiga can be found in the collections and sculpture gardens of important Southern California museums such as the Los Angeles County Museum of Art, UCLA Sculpture Gardens, University of Southern California, Santa Barbara Museum of Art, and San Diego Museum of Art. The Los Angeles County Museum of Art's Graphic Arts Council selected Zúñiga in 1976 for its annual commissioned print. That original lithograph, Familia Indigena I, proved its most successful commission in its history. In 1982, Los Angeles mayor Tom Bradley declared November 19 "Francisco Zúñiga Day". Zúñiga's works are included in the collections of the Hirshhorn Museum and Sculpture Garden, Washington D.C.; both the Metropolitan Museum of Art and the Museum of Modern Art in New York; Fogg Art Museum, Harvard University; Phoenix Museum of Art; the Museo de Arte Costarricense, Costa Rica; Museum of Modern Art, Mexico; Latin American Museum of Art, Buenos Aires and Middelheim Open Air Sculpture Museum, Antwerp, among many others. In 2016, The Museo Nacional de Arte acquired Zúñiga's monumental masterpiece Group of Four Standing Women and presented a tribute exhibition of an additional 11 works, which the museum cited as being the most significant addition to its collection in the past 20 years. Group of Four Standing Women is currently exhibited at the Dallas Museum in a major exhibition of Latin American art, following its exhibition at the Grand Palais in Paris.